Recognize this artwork? Chances are good that you’ve seen it before—if not on TV, then at one of our spring Making Connections events. If you’re having trouble placing the paper packet these fabulous papers come from, it’s because they don’t come from a paper packet at all: they come straight from the new My Crush® For Him and For Her books. Are you already imagining what crafty things you can build with these beauties? We hope so, because Jeanette’s next creative challenge is for you to do just that! This is the official announcement, so pay attention: your challenge is to create artwork using the papers you tear from one or both of the My Crush For Her and For Him books. We know it’s a few days early, but no one ever complained about a little extra time to make a masterpiece, did they? The deadline is midnight on May 31, and we can’t wait to see what you come up with—so hop to it! The winner will receive TWO My Crush For Her books with which to make even more great artwork. You still have the full seven days to finish Jeanette’s current challenge, and the winner will still be announced on Facebook on Monday, May 25. We’re just so excited to see the artwork you make with the papers from these books that the overlap seemed excusable. The challenge is on! To get you pumped for this unique challenge, we’re also giving away 20 For Her books to 10 winners with this post. That means 10 lucky souls will get two books apiece with which to make the finest layouts and cards out there. To enter the giveaway, leave a comment below telling us about your favorite way to use the For Him and For Her books: as mini books, on cards, or on scrapbook pages. We’ll announce the winners of the giveaway on Tuesday, right here on the blog. Best of luck to you, crafters! i love to use these books by making a book for a loved one. I have my kids write their favorite things and include pictures of them, with that person. We need to share how we feel about each other more and these books are a great way, and your guaranteed to get a tear from dad or grandma. Just before my mom passed away she completed a book about herself with prompts that asked about what her childhood was like, her favorite things etc. I am going to use the For Her My Crush Book to do this for my son. I am going to use the prompts from the book my mom used and make one and will include pictures…I hope I don’t die anytime soon, but I think this would mean a lot to him and be more personalized. Ooh! I want to combine them with an idea i just read about yesterday, thinking about something to make for my hubby for his anniversary – 24 date night promise cards, one each month, one staying in and one going out. I think this will pull the idea together wonderfully! 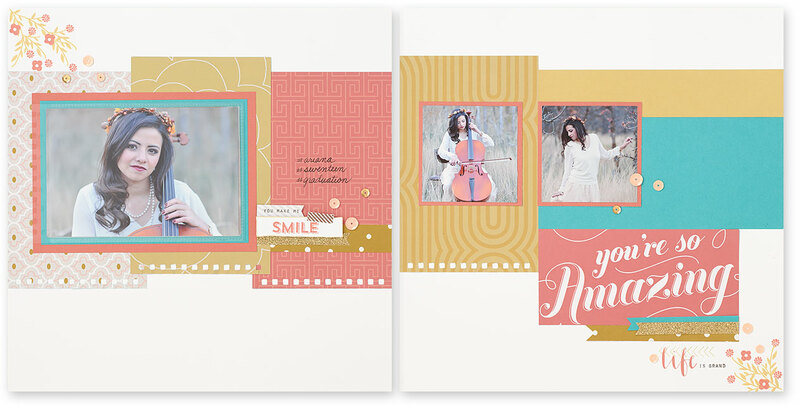 I was inspired by the layouts we created with the For Her books. I picked up a For Him book to create a layout for a recent trip we took. So looking forward to creating it! I don’t own any of these products. Boy, you have open my eyes. I can’t wait to order them. Fun projects to be had! I haven’t tried a my crush book yet, but am excited about the possibilities! Love these as special mini albums. Love this challenge! I’m giving them for graduation gifts this year. I’ll put the photo invite I received in the album to get it started. They’ll make a perfect gift! Love them! I am going to make one for my Dad and husband for Father’s Day, and have my sons fill out some questionnaires to put in the book. I love to use them on cards & scrapbook pages!! I am in love with the scrapbook pages. So adorable. I’m giving the ‘For Her’ book to my friend’s daughter to make a special birthday prezzie for her school teacher. They will pass the book around and each child writes a little message, sticks a photo if they want to, add a sticker to make this a very special Birthday Card/mini book. A lovely surprise for their teacher! I’ve been coveting these books from the very first time I saw them in the Idea Book! To see the papers being used so differently – I really need to have them!!! I’m planning on using the My Crush books to celebrate my parents’ birthdays. Both of them turn 70 this year. I would love to have various friends write massages on the individual pages and then re-configure them into a book once they have returned them. I’m very excited. Love using them as cards and books! I would love to win the books and find out what my favorite way to use them is! I like mini albums and plan to use one for my grandaughter’s HS graduation. I loved the cards we made Very unique. I am new to the CTMH family and have not yet been able to work with the His/Her books. 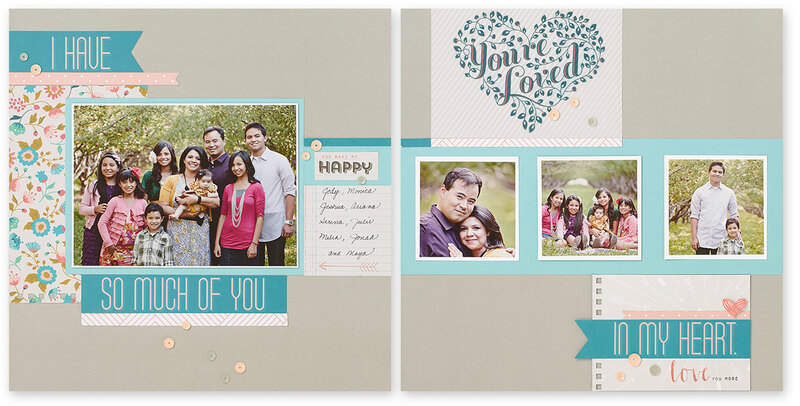 I love the papers….I love everything CTMH. I have been on medical leave from work…my gallbladder burst on Mother’s Day…so I cannot do much but sit and create! I have used the pages from previous books as cards and also in their intended form as a journal! I can’t wait to use the My Crush books for cards! I want to use them for scrapbook layouts! I love using these mini books as is for brag book gifts or display pieces, but I also have torn out some pages to use on scrapbook and card projects as well! I just love the idea of having extra “paper packs” available from CTMH! I love using them for graduation gifts! I send mini books to my grandson in San Antonio, Texas (I’m in SC). he only gets to visit during the summer, so I send pictures of the cousins, great grandparents and his favorite things on our farm during the year. At 10 years old, he is the Best! I love working with My Crush books and mini albums! Only problem with entering this fabulous challenge is I am in Europe, making memories! I actually would like to use them in a combination of cards and scrapbook layouts. I would like to make some pages as a dedication for my mother. I already did some heritage pages on Studio J and I would like to add some flip flop adds and these books are great to tear out some pages and add on to Studio J pages! I like to use them as an activity my daughter can do while I’m scrapbooking. She has her own and I have mine. It’s so easy for kids. I am using the My Crush for Her to make scrapbook page embellishments and tags to write my story for my family. I was a Fashion Designer/Teacher before children and this Crush Book spoke to me 🙂 Love all the Crush Books, so very adaptable.